We’re going March Mad at the Political Junkie. Candidates are flying to and fro — shaking babies, kissing hands, hiring staff, and schmoozing in New Hampshire and Iowa. And we just get to sit on the couch and watch. Oh, you thought we meant basketball? That’s pretty fun, too. And it inspires this week’s trivia question. The Kentucky Wildcats are going into the tournament undefeated, 34-0. Who was the last president who went undefeated in his political career? We’re including general elections and contested primaries. Submit your answer in the box below. We’ll pick a winner at random from the bunch. The winner will get a fabulous Political Junkie button. Don’t forget, you can get the trivia question a whole day early by simply liking our Political Junkie page on Facebook. We post the question every Wednesday. You can sign up for our Political Junkie newsletter, too. You’ll get all the latest from Team PJ every weekend. Some would say it’s a slam dunk. And because of a certain someone’s vacation time, we’re two weeks behind on trivia winners. Two weeks ago, the trivia question was: Barbara Mikulski, the Maryland Democrat who is retiring next year, has been in the Senate for 28 years. What woman is in second place in all-time Senate seniority? 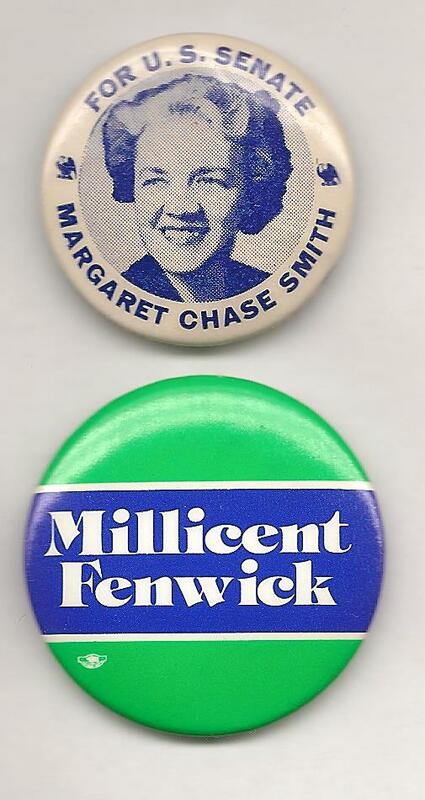 The answer: Margaret Chase Smith. The Maine Republican was first elected in 1948 and served until her defeat in 1972. Ken Gursky of Basking Ridge, New Jersey got that one right. He wins the coveted Political Junkie button. And last week’s question was: Who was the first member of Congress who was a grandmother at the time of her election? The answer: Millicent Fenwick of New Jersey. And Carol Velez of Sacramento, California got that one. Two well-deserved buttons. Congrats, Carol and Ken!